"Lucas Torreira, dominant against Spurs, can take advantage of the disconnect between the United midfield and attack to ensure Arsenal maintain pressure, but it is Ramsey - restored to his favourite number eight position - who can make the most telling contribution." Injuries have begun to disrupt Manchester City's flow and despite beating Bournemouth at the weekend their opponents were competitive for long periods, adequately holding Pep Guardiola's side at arms length. Watford's dreadful run of one point from four matches ensures the visitors are heavy favourites, and yet Javi Gracia's narrow 4-2-2-2 should make this closer than anticipated. For the first time in a while, Gracia's tactical stubbornness gives the Hornets a possible advantage. City struggle to build through the middle without Kevin de Bruyne, often relying on the crossing of Benjamin Mendy (now injured) or the instinctive centre-forward play of Sergio Aguero (also injured). As their usual attacking tactics slow down, narrow formations - such as Bournemouth's 5-4-1 - can shut down the half-spaces and make City seem a little flat. Consequently Watford's box-shape midfield may keep the score at 0-0 for a long time. However, Watford's narrow system inevitably leaves gaps in wide areas. Over the last two games right-back Kiko Femenia has been consistently beaten by Leicester's Demerai Gray and Sadio Mane, and so Leroy Sane - back in form with two goals and two assists in his last four games - should win the one-on-one. Expect Sane's movement to outwit Femenia, eventually leading to the German firing one of his low crosses in for a City goal. Unai Emery's second half switch to a 3-4-1-2 against Spurs saw Aaron Ramsey make runs ahead of the Tottenham midfield to combine with Alexandre Lacazette and Pierre-Emerick Aubameyang; together, they formed a front three that constantly looked to run off the shoulder and receive quick forward passes. Arsenal should continue with this fluid attacking system against Manchester United, ensuring they out-battle their timid opponents. Jose Mourinho was remarkably negative against Southampton, starting with seven defensive players on the pitch and a back five - which is why Romelu Lukaku and Marcus Rashford were so isolated and why Paul Pogba looked lost in possession. 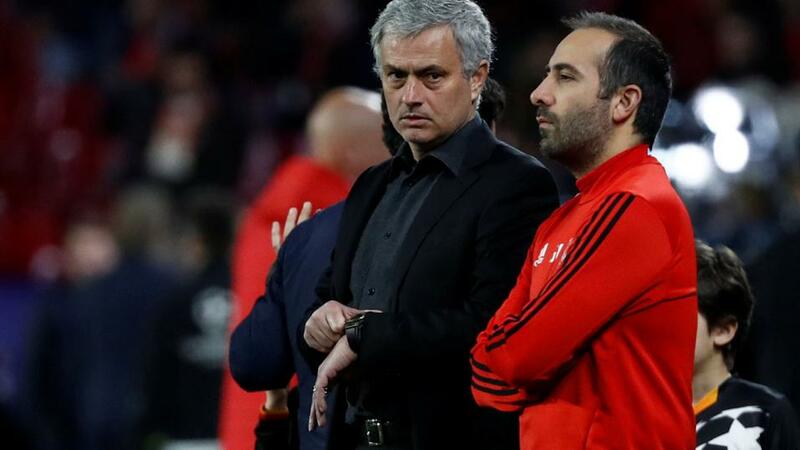 If that's how Mourinho approaches Southampton then presumably it will be even more cagey when Arsenal come to Old Trafford, which means the Gunners have the chance to swarm and harass them into submission. Lucas Torreira, dominant against Spurs, can take advantage of the disconnect between the United midfield and attack to ensure Arsenal maintain pressure, but it is Ramsey - restored to his favourite number eight position - who can make the most telling contribution. The Welshman will break beyond the struggling Nemanja Matic, creating the sort of overloads that led to all three of Arsenal's second-half goals on Sunday. The main reason Wolves have won one point from their last six Premier League matches is Nuno Esperito Santo's predictability. He picks the same 11 in the same system for every game, and inevitably opposition managers have started to work out how to nullify them. But it gets worse: such consistency means they struggle to cope with forced changes, which is why Ruben Neves's suspension spells disaster for the Midlands club. Neves has played every minute of the 2018/19 Premier League season while his partner, Joao Moutinho has missed just 44 minutes in the 2-0 defeat to Huddersfield in late November. Wolves are ill-prepared for a disruption in this department, especially given the replacement will be 18-year-old Morgan Gibbs-White. The youngster is technically gifted, is unlikely to cope with the speed and fluency of the Chelsea midfield; Gibbs-White failed to make, or even attempt, a single tackle in 45 minutes against Huddersfield. Maurizio Sarri's team are back in their groove after a comfortable win against Fulham, whose inability to track Jorginho highlighted the brilliant jobs done by Dele Alli and Gylfi Sigurdsson recently. Wolves, with an inexperienced two-man midfield and low on confidence, won't be able to suffocate the Italian, which means plenty of time on the ball for Matteo Kovacic and Eden Hazard down Chelsea's left. A comfortable win for the visitors with early goals seems likely. Fulham have become more resilient since Claudio Ranieri took charge, with Callum Chambers moving into central midfield (12 tackles, six interceptions in the last two games), but they remain a work in progress. Jorginho ran the game at the weekend, outmanoeuvring Tom Cairney to combine with Kovacic and wear down the visitors. Leicester City should be able to similarly take advantage, using Chambers' flat-footedness to get James Maddison into the game. The 22-year-old scored the second goal at the weekend and, following a slow few weeks for the England U21 player, weaved through a congested central midfield with aplomb (three successful dribbles). Fulham are highly likely to give Chambers too much to do, while Jean-Michael Serri is error-prone and vulnerable to being caught in possession; it is easy to imagine Maddison getting on the ball in dangerous positions to slip Jamie Vardy through on goal. Vardy is also back in form, scoring in each of his last two league matches, and his most significant contribution against Watford was running clean through on goal to earn a penalty in the 12th minute. It will take a few more weeks at least until Ranieri has strengthened Fulham's soft centre - or made them capable of defending the Maddison-Vardy partnership.